1. Get ahead of the story. This does not mean denying things the day before the story breaks and the accusers come forward. Telling the media, your fans and your opposition that some women are going to make accusations and they’re definitely not true so don’t worry about it everyone does not make you seem like you’re being forthcoming and transparent. 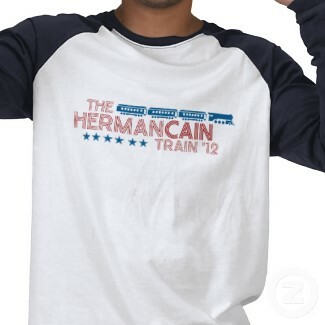 In fact, it made Herman Cain seem even guiltier, at least of a cover-up. Cain would have been better off addressing the accusations long before they became an issue. His team had to have known that someone, whether it be another candidate, a member of the media, or a blog-poster with a grudge, would have eventually brought the accusations up. And yet, no one had even had any plan. It seems like everyone on Cain’s team just crossed their fingers and hoped no one would talk about it. No such luck. 2. “No Comment” is no good. Following the story breaking and the repeated sexual harassment allegations coming to light, Cain readily played the “No Comment” card. This is an ineffective tactic in public relations, especially crisis communication. It made Cain look guilty, and it made the media all the more interested in the story. And by refusing to comment, Cain effectively disallowed the media from hearing his side of the story. Second of all, Cain cried “no comment” in a ridiculous way. He didn’t just tell the media that he’d rather not (or that he couldn’t, in some cases) discuss the numerous issues. Instead, he refused to talk about the issue because, apparently, he decided it wasn’t newsworthy. That’s not the way crisis communications works, and it’s certainly not the way politics work. Cain’s “no comment” wasn’t just ineffective, it was insulting to the media and pretty egotistical. 3. Your audience is not stupid. Even if your audience is stupid, it’s a terrible idea to behave as though it is. Cain and his team used several tactics to try to sweep the accusations under the rug. First, he passed blame. Rather than take responsibility for his actions, explain his wrongdoings, apologize and make amends, Cain blamed everyone else: the Democrats, his Republican opponents, the media, and his accusers. No one believed he was the victim, and Cain ended up looking like he didn’t know how to take responsibility for his actions or handle a crisis. These are not qualities that make a good president. Cain’s second ineffective tactic was pulling his wife into the frenzy. So many politicians have used the “devoted wife” routine that it has become an obvious ploy for sympathy and support.Cain’s third and most amusing tactic is the poor attempt at damage control that is “Women for Cain,” a hastily thrown together web page detailing how Herman Cain has always been an advocate for women’s rights! He cares about women! Look at this picture of him hugging his wife! Read these testimonials from real women who think Herman Cain is swell! It comes off as disingenuous. It’s too little, too late, and it was insulting of Cain and his team to think the webpage would really convince women that Cain is a great guy, despite all of the evidence to the contrary. The majority of PR practitioners already know exactly where Cain’s campaign went wrong and why it was such a public relations nightmare. Many people who watched the situation unfold knew the mistakes that Cain and his campaign team made and predicted the aftermath. Still, it’s always nice to be reminded how smart you are. For me, it’s a great reminder of why I don’t plan on doing political PR any time in the future. At Hofstra PRSSA’s common hour meeting, members had the opportunity to hear from David Chauvin, Director of Public Relations at Zimmerman Edelson, Inc. David, a graduate of Hofstra himself, specializes in government PR and shared a wealth of knowledge and some great anecdotes with the students. For several attendees, this was the first they had ever heard about the government sector of public relations, and although many may never have a hand in creating a political campaign (or even, unfortunately, set foot in a polling place) David’s advice was relevant and interesting for anyone looking to pursue a career in the public relations industry. This does not mean you should immediately delete your Twitter and deactivate your Facebook account (more on that in Tip #2). On the other hand, you must balance your consumption of digital and traditional media. David urged students to pick up a newspaper whenever they could get their hands on one. He explained that print publications set the agenda for the day, so it is crucial that you read, understand, and have an opinion on what these outlets are reporting on. Thirty years ago, knowing how to type may have been a precious skill but today it is an ordinary prerequisite for most jobs. Similarly, being a Gen-Yer who is proficient in all things social media is no longer impressive but rather, expected by job recruiters. David informed us that employers expect students to be active on these platforms and to understand how they work. This tip is especially pertinent for those of you who are currently interning, or who plan on interning ever (so all of you). I am a firm believer that when it comes to an internship experience: you get out what you put in. In David’s example, he was a volunteer who was not initially given much responsibility. Once he began showing up on a regular basis, and continued to do so, he was given much more challenging and rewarding tasks. As an intern, always ask for additional projects, and be specific. If you want more experience writing press releases, just ask! Your superiors will notice your eagerness and you will receive greater responsibility and a much more worthwhile learning experience. This piece of advice is applicable for students pursuing a career in any sector of the industry. It is important to know your audience, and to reach them in places that they frequent. They no longer want to have to search for information; they want it to find them. This is where social media can play a huge role. Twitter, Facebook, and other social networking and micro blogging sites allow companies to reach consumers and talk with them, rather than at them. Don’t just spew out information and promote your brand (or yourself), join the conversation and become a reliable and trusted source of information.